Thesiger’s Across the Empty Quarter, strangely, was the backdrop to our recent trip to California. It is odd how quite disparate settings call across time through the intercession of writing, and speaking clearly, pure as a bell to someone radically different but yet similar. When I looked at the Golden Gate Bridge, at the top of the pillars vanishing like a trick up there into the mist. At the mysterious brick red upwards thrust of steel halfway to heaven suddenly not there and not courtesy of any magic of the eye, I was straight back with Thesiger. Across the bay of San Francisco the city was bathed in light, the buildings all huddled together like a multi-story castle, alien and like Kafka’s Castle, formidable if not impregnable. In the distance there was a flotilla of yachts, with white sails, gliding over the water to attempt the impossible, to conquer the Citadel. Alcatraz is the Duke’s lookout post, most foreboding, right there at the mouth of the bay. Up by the bridge, I discovered that the San Francisco Bay has a microclimate, one that is blustery and more than 10 degrees cooler than the city itself. Back down at Haight Ashbury, it is like nowhere else. At the corner of Haight and Masonic, we stopped for coffee at a cafe (Coffee to the People) overlooking Jammin N Haight a tattoo palace. The window display had manikins with radiant purple hair and hippy dresses from the 60s. In our cafe there were several dream catchers on the wall. Next door was Gypsy Street Wear. By the bus stop there was an older man lying on his side, on the pavement with his property, all of it in two bags. Behind me was an apparently mentally ill woman who was talking endlessly to herself, her skin had that sad sallow unkempt tint, of halfway to dying, from excessive dope and drugs. It is the more shocking to find a girl barely 15 perhaps 16 with shorts into the crack of her buttocks. The driftwood and the carefully cool side by side, if not remotely touching. A man with severe Parkinson’s disease walked past, tremulous, loping in his uneven and uncertain gait. The manner of living and dying was like this young woman’s raspy cough, a smokers cough as well as a harbinger of loneliness and probable solitary death. Next, a young black man, merely a boy, so obviously camp, so obviously on the rent, walked past. The sun was now like a smeary light in a sky that had gone dull. “You’re on board Car No 1070 down Market Street to the pier”. Our car was early 20th century style, with green leather seats. Not New Orleans and definitely not named ‘Desire’. We all got off at the pier and wandered through the flea market stalls- mostly jewelry. We bought a small driftwood branded with “Yes, I’m a goddess” and then a wonderful tie dye dress for the granddaughter. Before I knew it, I was drinking an infusion of ginger stem, honey and whatever else. Next to me was a bike rental place and ahead the grocery stalls of mangoes, plums, pomegranates, and in the sun looking as if I was in a Greek Island market. It was that kind of day with autumn in the air but in that sun nothing mattered. We were not yet mourning the summer that never really was and that’s now over. Here in SF it was not New England and the turning of the leaves was not much to regard. In fact, It was a line of palms that I had in my line of vision. This morning I left my notebook in the hotel and I have had to stop to buy a new one- from Alexander Book Co. Our assistant was a light skinned black man, camp with glee in his eyes and full of humour. We laughed over the most mundane exchanges –“That’s an ordinary pen, is it?, Not a gizmo” “It’s not automatic and doesn’t swivel and speak”. In America it is good to be served by a black person who is not a minion but an equal, one who is confident, not resigned or defeated. Our guide on the ‘Hop on Hop off’ bus tour yesterday was Willie, another black man of my age. He was hilarious. He was inventive and entertaining. He asserted his authority and expertise with panache. Now his was another method of adapting to the treacherous place that is America- he met with optimism and inner strength the brutal, uncompromising callousness of the system of living. That’s what resilience is, at least in my book. I was sitting by Pier 39 watching people go by. An elderly man beside me is eating a chocolate ice cream. A clutch of black people was taking selfies directly in front of me. Young Chinese men are re-inventing the ponytail sitting on the crown of the head and everything else shaved off. It was relatively easy to distinguish Chinese Americans from tourist Chinese from Mainland china- it was something about style of dress, something about self-assurance, and also something about the size of groups. It was impossible not to marvel at the sheer variety, the plenitude of human forms. There was no valorization of any particular attribute, every description was part of the infinite variety, the infinite characteristics that went to inform life. This was not Hollywood where an aseptic and impoverished monoculture dominates life. In this motley crowd, what constituted beauty? Judging by what was parading in front of me, it was the obese that won hands down. We were now out of the city heading for Yosemite. The dominant colour was Marilyn Monroe blonde – a variety of yellow that glowed in the evening sun and that was endless across the vast vistas, dominating the hills and valleys. Surprisingly, amongst this were patches of dense green, the dark compulsive green of bushes and trees. We drove through almond orchards, vineyards, stretches of maize but it was the yellow grass, carpeting the hills, valleys and plains that were breathtaking. This was also farmland. Cattle, sheep, grazed on this impossibly dry or burnt dun colored earth. Sonoma Pass was an 8-mile long winding, hairpin bends, tract going ever upwards, 4,000 feet towards Yosemite. By now our journey was through spruce and firs, mountain ash and perhaps larch. Except for the road we were by ourselves and surrounded by the forest. The sky was an impeccable blue, that is, there was not a fleck of cloud. But, the blue was not cornflower blue or even necessarily beautiful. Close to the horizon it had the color of mist and haze. Where in SF, the houses clung to the hills and cliffs for dear life, as if any minute now, they could slip into the Pacific. And, in truth these houses just might at some point. Here at Yosemite, it was pure nature. There was no large-scale blot on the landscape of human artifacts. It was exactly as it ought to be, grand and severe. Big Oak Flat Road was miraculous. It had grassland sweeping down to meet pine splendor. And in the background, layers of mountains as in a Japanese print. The rocks- Half Dome and El Capitan seemed to reflect back to us aspects of ourselves- resoluteness, obstinacy, resilience, a kind of grandeur that has heroism at its core. Up there, at Glacier point, in amongst the pine, cedar and spruce, we had yet to encounter a bear, neither brown nor black. The air had a Pine freshness to it. Again the sky was an indecent blue and the light touched and stroked everything with gold dust. Across the valley, Half Dome, Mount Clark, and the other granite rocks like the Earth’s vertebrae rose up magnificently to our view. The drive to Sequoia took us through Oakhurst, Coarse Gold, Fresno, Clovis, Minkler (Pop 30), Squaw Valley, by Kings River and Freint-Kern Canal. This was wine country of grapes, peaches and lime. The dry sand colored grass climbed up the hills and in the evening light, for all the world to see, it looked as if talcum powder had been sprayed on the hills. The homesteads had paddocks and horses, also cattle, goats and chicken runs. The tar with its yellow road markings and white line edgings cut through the landscape- a human artifact scarring nature. What a pity! We had lunch at Mono Meadow, down a dusty path into the valley. I was not sure we actually made it down to Mono Meadow. Where we stopped was not particularly picturesque or memorable except for the sounds of at least two woodpeckers at work. We stayed at Sequoia National Park in Montecito Sequoia Lodge. We arrived just before dinner ended, at 1929 hours. We rushed to make a meal from the scrapings. I had rice, chicken and grits (Easy Rawlins favorites) and bacon. Jan chose wisely, you could hardly go wrong with salad. Our bedroom had a double bed, a bunk bed, a chest of drawers from before the Ark, a walk in wardrobe that Elizabeth Taylor would have found commodious and a bathroom squeezed into a rat’s hole- wonderfully basic and unappealing. The décor was from the days of flower power. But we were grateful to lay our heads for $ 200 per night. The fellow behind us, Australian and his partner were turned away –no room at the inn. Except there were no other inns for another 40 miles along treacherous mountain passes that doubled as roads. Frightening. On leaving Sequoia we stopped for lunch at the Gateway Restaurant overlooking Kaweah River. That wondrous sound of rushing water played backdrop to our lunch of burger for me and, quesadilla for Jan. We spent all morning and early afternoon marveling at Sequoia. It is nigh impossible to describe the magnificence, the imperiousness, the astonishing charisma of these silent but imposing trees. 2-4,000 years old, some of these wonders were already saplings before the Romans came to power, well before the Icelandic Sagas, and perhaps just after the Pyramids at Giza were built. When there were 3 or 4 them together, it was like a convocation, lost in deep thought, deliberating and waiting to declare what life is and is for. The zenith of our trip, literally, was to climb to the top of Moro rock, 6,500 feet above sea level and to look out to the known horizon- layers of mountains, the tops of sequoia trees, and infinite expanse of bewilderment and puzzlement. Words cease to have the audacity to describe what was plainly in front of us. We came down from the heights of Sequoia, down to Three Rivers –by the Kaweah River Valley, then onwards to Paso Robles, Morro Bay- 160 miles or so of the straightest roads after the Romans. Initially at the foothills of Sierra Nevada and then onwards aiming for the Coastal ranges, mighty impressions of sand dunes in the Sahara or the Arabian Deserts. These undulating and rounded hills once again covered in yellow grass and grazed by beautiful black cattle. Suddenly instead of aiming for these hills in the distance we were surrounded by them. This was the gateway into wine country. Paso Robles was the beginning of wineries. We took a detour through Old Greek Road, an English Country lane with wineries by the dozens. Then suddenly the Pacific was visible between an aperture of light and the country. That night we stayed at Pacific Shores Inn- in an ocean view room. We had dinner at Off the Hook, overlooking the Pacific- yachts in the bay and sea lions swimming and noisy close by. The sea was glistening like molten tar in the moonlight. I had seafood pasta made of crabmeat, clams, prawns, mussels and lobster meat. Jan had Cobb salad. I had Californian Chardonnay, Krugs and Jan a local light ale. Then we walked back to our rom. That was our night at Morro Bay. Cayucos has a pier that led out to sea. A Mexican couple told me they had seen dolphins but I had no such luck. Next was Cambria but before that we stopped off briefly at Harmony with its population of 18- what had once been a thriving dairy town on Route 1 but was now a dead town. Cambria was an empty beach with a short walk down to the beach where if you looked hard you might just find jade! We found a handful. Between San Simeon and Raggly beach there was a partly rocky beach with a colony of seals. It was a stopping point for groups to gaze at these enormous males, elephant seals fight to determine the dominance hierarchy and mating rights. The extent of sexual dimorphism in these seals is a measure of the intra-male rivalry and competition for access to the female harem. The males are considerably larger than the females. At Monterey we stayed at Cannery Row. At the famous aquarium we found the jellyfish special. Then we drove out to Salinas, to the Steinbeck Centre. There was a wonderful exhibition of his life and works. 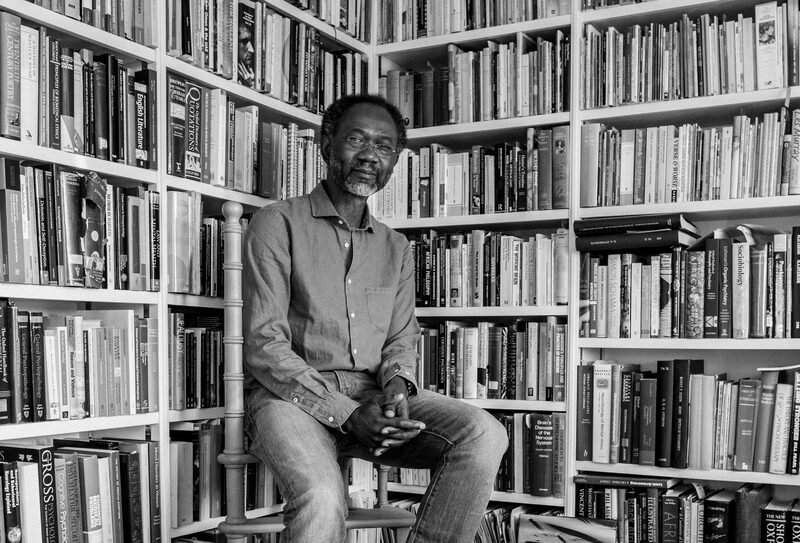 I have two memories- reading either parts of journals or letters at age 13 years and discovering that writing was a self-conscious act, involving discipline and self-scrutiny; The other was reading East of Eden on a greyhound bus between Lagos and Ibadan in 1973. I sat next to a white American man of my age. He was surprised to meet an African reading Steinbeck and I was surprised to meet an American travelling to Ife to study African art. So there, for our youthful misunderstandings and prejudices. Salinas, Steinbeck’s hometown is a fertile valley, acres on acres of plains, growing cabbage, artichokes, cauliflower, broccoli, avocados and strawberries. The strawberries were being picked by a line of dozens of people in straw hats bent over under the midday sun. In Cannery Row next door to the aquarium is the preserved house of Ed Ricketts, Steinbeck’s best friend- The Pacific Biological Lab. Ricketts was the model for Doc in Steinbeck’s Cannery Row. I bought a book, Travels with Charley and then we went off to Rollicks for coffee. We were served by a young woman with severe acne- she could do with isotretinoin. We moved hotels from Cannery Row Inn with our partial sea view room and a king bed to Monterey Hotel, downtown, opposite the Golden Gate Theatre. The Monterey Hotel in its heyday was the hotel in the West, the first to have gas, electricity, etc. It was in a busy district but without the advantage of double glazing- hence the risk of noise. Well, we were forewarned. In fact, it was fine or we were too tired to notice. At 7.45 pm we walked across the road to the Golden Gate Theatre to listen to Art Garfunkel. He is 75 years old but sang as if he was a younger man. He sang Bridge Over Troubled Waters, Scarborough Fair, Sound of Silence, Boxer and a song by Gershwin and another by Randy Newman. He also sang a number of new songs. He read excerpts from an upcoming memoir. It was an enjoyable evening. I hadn’t realized how pure his spirit was. His voice was clear, the color of water, transparent, totally true and yet vulnerable. The theatre was ornate, like the Alhambra in Bradford. There were fake battlements and castellations, decorated doorways that led nowhere. The painted ceiling had a figure between a representation of the sun and the diadem of a star. We sat next to a couple from Texas, golfers, who told us they came often to Monterey. The wife was surprised that we followed “our music” and then that we seemed too young to have known Garfunkel. I thought better of telling her that I had listened to Simon and Garfunkel as a student at Ibadan. She might have been even more surprised. The husband was interested in Brexit- he said “Sure you’re from England not the UK!” He also told us that Texas was agitating for Texit. After 1000 miles and 10 days, our last night in SF was spent at Blues and Biscuit listening to Joe Louis Walker. We sat in the back row of a club that was packed. We had hot chicken wings and yam fries. I had Californian Merlot and Jan a G&T. Next to me sat a black couple. The wife had a round face with the sheen of mahogany whilst the husband wore a black Stetson, carefully shaped grey beard and his skin was flawless ebony, magnificent for a man of 66 years. They lived in Sonoma County. He came from a family of musicians and had played with Joe Louis in his youth. The wife sang in church on Sundays, no profanity for her. When he had his Stetson off, he was not so tall after all. He had a huge head with prominent teeth. There was some drama when he discovered that he had left his glasses in his car and went to retrieve it only to find out, to his consternation, that the parking attendant had lost the car keys and worse still had left the car unlocked! Well, you can imagine his anger. Luckily the keys had been left in another car that had already driven off but was at least traceable. The wife talked to me about Trump, his dishonesty, his hate for anyone different from him and the fear that Black people had for the possibility of a Trump Presidency. Next to Jan was a white couple- the wife was an anesthetic assistant, just retired. Like us, they were into travel but had yet to visit Cuba, Grand Canyon, Bryce or Europe. They had both been previously married. He had 3 sons and grandchildren and she had a son who was a nurse in North Carolina. We talked about the poor state of the American healthcare system and the unbelievable deprivation sitting alongside extreme wealth in America. I cited the example of Native American reservations along Route 66. She told us she was brought up in the Appalachians where water and electricity were often not available. That’s America. Joe Louis Walker was the most inventive guitarist that I had heard in a long time. His keyboard player played the KORG as if he was on fire. The sounds that Joe Louis plucked out of the guitar were unimaginable. He was also a master of atmosphere- like a Debussy or Ellington, creating a mood, a color, textures that had spirit and mystery. Jan said that’s “virtuosic” and it was. We witnessed an exhibition of intense creativity and unfaltering joy in the midst of deepening racism and prejudice. Joe Louis’ daughter and wife were in the audience. Joe Louis told the couple next to us that his daughter used to tour with him, singing but he could no longer afford her fees. That’s life for you. She was there with her son and husband. Joe Louis was a young looking 67 year old with dreadlocks, lean and lithe. He gave us a brief history of the blues and played homage to Earl Hook, born Zebede Hook! At the end we walked out into SF windy, uphill streets to our hotel, into the Library Bar with its art deco chandelier and light shades. And that was it.